Thor is angry! And in a moment of total madness, he decided to kill 17 goats in Namibia and 89 livestock (sheep, goats and cattle) in South Africa. Farmers are heartbrocken and discouraged. 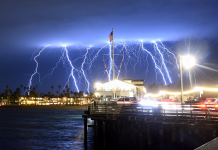 17 goats were killed suddenly by a lightning in Namibia. 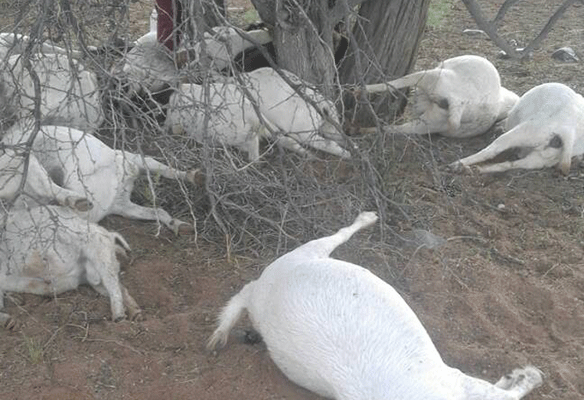 Lightning killed 17 goats at around 17h00 on Thursday at farm Regina, situated near Helmeringhausen, Namibia. On this day, it rained between 20mm and 40mm. The 17 goats were struck by the lightning during this downpour. One was a stud ram and 15 were in the last stages of their gestation period. The same thing happened to him in November last year when the rainy season began. Rain is always welcome in the hot and dry Karas region, but not all the collateral damages. 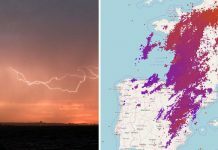 89 farm animals were killed by lightning in South Africa. 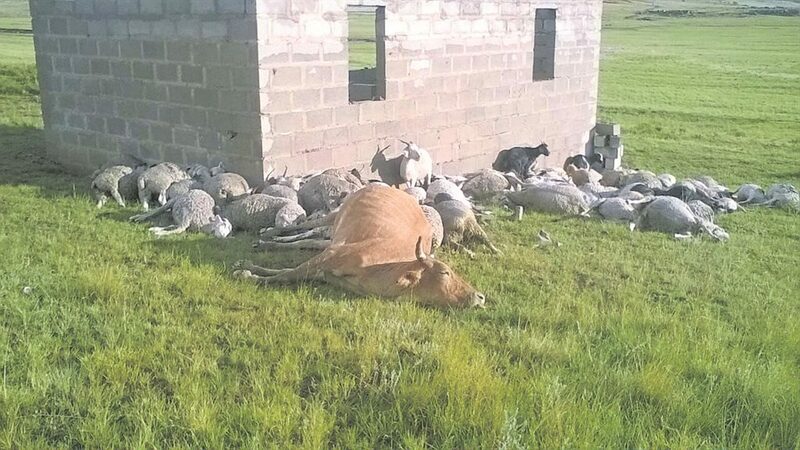 A few weeks ago, on January 24, 89 sheep, goats and cattle died on the spot after being struck by lightning after trying to found shelter from the strong winds, rain and hailstorm in an unfinished house in Zwelitsha village outside Matatiele, South Africa. 14 small-scale farmers are left with empty kraals, discouraged. It’s the first time that such an event occurs in the village. One thing is sure! 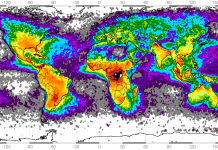 Be careful in Southern Africa when the wet season arrives… ou may get hit by one of Thor’s lightnings!